Zane carefully wrote the word found on his paper with the blue marker. Then he traced over the word with the red marker, followed by the green marker, and finally one more time with the orange marker. I sat down next to him and asked him to explain what he was working on. I’m sure that is not what his teacher had in mind. She undoubtedly thought that using different colors would engage Zane sufficiently to motivate him to stick with the task. Then the repetition would contribute to his remembering the spelling of the assigned words. Unfortunately, the use of different colors was so engaging that it took Zane’s attention completely away from the words. When he was finished writing, all of the words were covered with enough colors to render them pretty hard to read. Zane ended up writing the word found four times. How is Rainbow Writing any different from the dreadful “write-your-words-five-times-each” assignment that we all experienced as elementary school students? Mirror Writing—Writing the words normally and then backward. Backward, really? Doesn’t this interfere with the children’s learning of words based on cues that come from sequences of letters in the words? Also, isn’t this problematic for children who are already confused by words like saw and was? Make the Words Disappear—The child writes the word multiple times. However, each time the child writes the word, she leaves off one letter until the word “disappears.” In this task, there is only one conventionally spelled word and there are multiple incomplete spellings. Other Handed—Right-handed children are asked to write the words with their left hands and left-handed children are asked to write the words with their right hands. Huh? I can’t help suspecting that the real goal of many of these word work tasks is simply to keep the students occupied, as opposed to helping them learn anything lasting and important about words. As Gail Boushey and Joan Moser write in The Daily 5, the proper goal of word work is to give students the opportunity to “experiment with spelling patterns, memorize high-frequency words, and develop a genuine curiosity and interest in new and unique words. By playing with words, word patterns, word families, prefixes, suffixes, and so on, students hone their knowledge of words and increase their writing skills.” What can we do to help our students meet this goal in beneficial and meaningful ways? How can we support our students in examining and analyzing words to extend their understanding of how words work? How can we provide experiences that will help them become better readers and writers? If you are not asking your students to do “Rainbow Writing” or “Other Handed,” what can they do instead? Sorting words is an activity that is strongly advocated by the word work wizards at Words Their Way (Bear, et al. 2011). Word sorts engage students in analyzing words by sorting them into categories. Categories can be anything from consonant sounds to vowel sounds, word families, affixes, or even what the words mean, to name a few. The category can be determined by the teacher (closed sort) or by the student (open sort). Sorting focuses children’s attention on what they already know about words and encourages them to focus specifically on the similarities and/or differences between selected words. 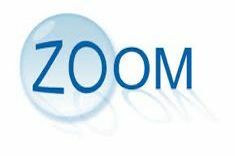 It provides children with multiple exposures to selected words and requires them to think about the words from a particular perspective. Google “short ‘a’ word sort” (or word sort on any element of study), and you will find many ready-to-go sorts. Or you can always create your own. 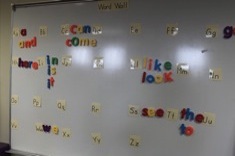 This activity, developed by Pat Cunningham, engages children in making smaller words from a “mystery word.” Students work with letter cards or letter tiles. They start by making two-letter words and then three-letter words, and they continue until they have used all of the letters to make the mystery word. After this activity is done as a whole-class or small-group activity, it can easily be repeated as an independent task. Have the children record the words that they make on paper. Give students a sheet of spelling paper attached to a clipboard and send them off on a hunt. Ask them to find words in a specific category. There are almost endless possible choices for the category. A few examples are words in plural form, words with long vowels, words with short vowels, words with two syllables, words with three syllables, and words with silent letters. 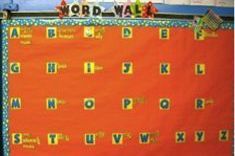 Rather than having students look through books, limit the hunt to words already present in the classroom environment, which includes anchor charts, bulletin-board displays, name tags, procedural charts, labels, word walls, and vocabulary charts. Again, this activity can be teacher directed or student directed. Students can do word work by reading books that focus on words. Here is a list of a few of my favorites, with some very brief descriptions. Andy, That’s My Name is almost wordless, except for a boy adding to and moving around the letters in his name. This provides wonderful practice for the –an word family. There’s an Ant in Anthony is a story of a boy who finds the word ant in different words. Dear Deer helps to shed some light on confusing homonyms. Once There was a Bull … (Frog) by Rick Walton is a very clever book about compound words. Here Comes Silent e! is a beginning reader in the Step into Reading series. The main character, a boy with a lowercase e on his shirt, goes through the story changing bit into bite, kit into kite, and pin into pine. Of course, the children can follow up by creating their own list of CVC and CVCe pairs of words. There are three categories of word games: teacher-made games, store-bought games, and online games. Children get tremendous joy and valuable practice from teacher-made games. Make Go Fish cards or Dominoes with sight words or vocabulary words. Go to http://www.mes-english.com/games/boardgames.php to get blank game boards. The students roll a die and go around the game board. They must be able to read the word on the square where they land. The game squares may include sight words, vocabulary words, words that feature a particular phonics element, or words that come from a particular family. You can make the game a little more interesting by including squares that have instructions such as, “Miss one turn,” “Roll again,” or “Go back two squares.” You will never need to make any game more than once—laminate it the first time and keep it for years. Attach it to a file folder for easy storage and for retrieval whenever students are ready to practice the skill that the game focuses on. Buying games at a store is a luxury, but it is certainly more convenient than making them yourself. If you decide to take this route, I find that toy store games are much more appealing than games from a teachers’ store. For grades 1-3, try Scrabble Junior, Boggle Jr., The Great Word Road Race, What’s Gnu?, Zingo (Word Builder or Sight Words), or Appletter. For grades 3-6, try Bananagrams, Scrabble, Boggle, or Tapple. Teach a few students how to play each game, and let them teach the rest. Online word games are a good option for teachers who can devote some iPads to word work. Check with colleagues, a tech teacher, or your favorite blogger for recommendations. Here are some word study apps that I have seen in use in classrooms that are free or cost less than $5. The Electric Company Wordball: Children watch a video about a phonics element, and then they try to catch wordballs to make words featuring the element. Montessori Crosswords: A picture of a two-word object (e.g., black crayon) is displayed, and the two words have at least one letter in common, so that they can be represented in the form of a crossword grid (one word going across and one word going down). The blank grid is displayed underneath the picture, and kids drag and drop letters into the grid to complete an appropriate caption for the picture. The level of the words ranges from kindergarten to intermediate. Spelling City: Children can play eight different word games, including Word Scramble, Missing Letter, and HangMouse (like Hangman). Available word lists include sets of homonyms and sets of compound words, and there is also a mechanism to enter some of your own custom-made lists. Younger students benefit tremendously from producing letters and words in different ways. Give them whiteboards, magnetic letters, letter tiles, letter stamps, Wikki Stix, Play-Doh, cereal, and macaroni. The action of writing and saying the words helps to ingrain those words and letters into their long-term memory. Perhaps that’s what Rainbow Writing was really aiming to do. What’s Up with Those Word Walls? Shari Frost visits classrooms early in the year and finds many have completely full word walls. In this essay, she shares research as well as practical reasons why it’s best to build the walls over time with students. Shari Frost has a gift for helping us think about purpose and this article is no exception as she turns her attention to the benefits of intentional anchor charts. Max Brand explains the basics of word work, including a list of reflective questions teachers can ask themselves and students. Sean Moore teaches second grader Mikhail some strategies for learning words in a conference. Sean Moore confers with a 2nd grader who is learning the strategy of chunking words in reading. Notice how Sean focuses the student, refers to previous conferences, and previews an upcoming whole-class reading. 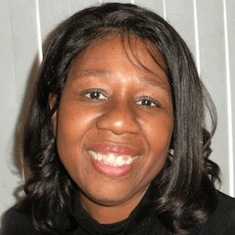 In this five-minute video, Gail Boushey (of “The Sisters”) leads a short small-group lesson on vocabulary.